A beautiful More Than Words figurine - You're The Best. This amazing figure measures 16.5cm tall and is delicately carved and hand painted. The figure comes in its own individual box. Unique to A1Personalised we will engrave an aluminium stand with your gift message and the name of the figure on the front. This little stand can be placed in front of the figure to remind the recipient of who bought them their wonderful gift. 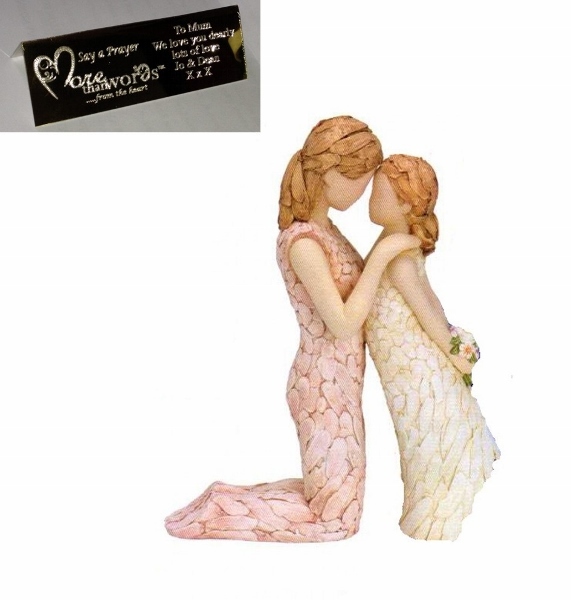 We have the full range of these figures that are perfect gifts for Engagements, Weddings, Birthdays, Anniversarys, Mother's Day, New Baby/Arrivals, one for every event and occasion.